BRATTLEBORO—If Windham Regional Commission (WRC) Associate Director Susan McMahon’s project goes as planned, Windham County towns can save money and work more closely together. In Spring 2014, McMahon and her WRC colleagues began working on the Municipal Shared Services plan, which helps towns collaborate on common needs, such as sharing goods, services, and staff. She said it is something the WRC had considered for some time. “Our communities are asked to do more and more with less and less,” McMahon said, noting the challenge towns sometimes have with keeping their budgets under control. The first step was figuring out what the towns needed. Last March, the WRC held a meeting in Townshend to present the program. McMahon said there was a “big turnout,” with representatives from 15 towns showing up. After brief presentations and a facilitated discussion, attendees were asked to identify their highest priorities. According to a project summary document McMahon shared with The Commons, the biggest needs were highway equipment sharing and purchasing, materials and commodity procurement, animal control services, a listserv to share information and municipal needs, information technology (IT) and webpage support, assessor services, and policies and procedure templates. Now that the needs have been identified, McMahon said the WRC’s hope is to try to facilitate the towns working together to meet them. When asked if WRC invented this type of program, McMahon said no, and said it “was modeled sort of” on the Franklin Regional Council of Governments’ (FRCOG) Municipal Shared Services project. Having FRCOG so close by — just over the border in Greenfield, Massachusetts — has been helpful. McMahon characterized the Municipal Shared Services project as a work in progress. “We’re letting it grow organically,” she said, noting there is currently no funding to support the execution of the project, even for her salary. “I’m just filling in where I can,” McMahon said. Right now, she said, the program is “low-risk,” and centers on building relationships between town officials. So far, it has been working. 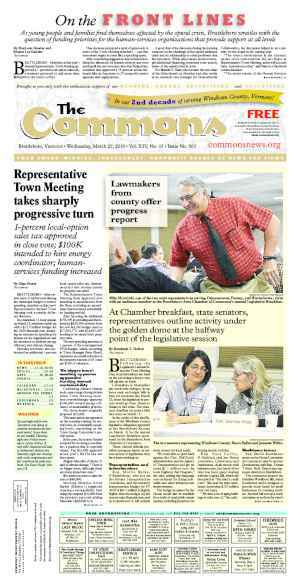 Brattleboro’s Town Manager, Peter Elwell, has been a big supporter, McMahon said. 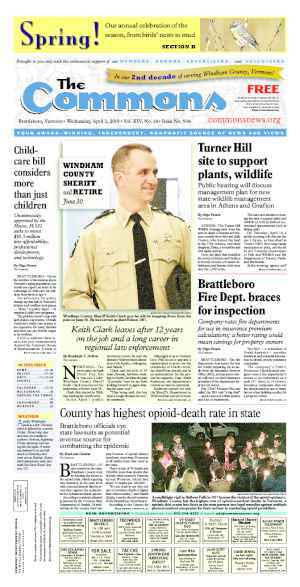 This is good news, as Brattleboro has something many towns want: an animal control officer (ACO). Even though Brattleboro’s ACO is part-time, that is more than other surrounding towns have. 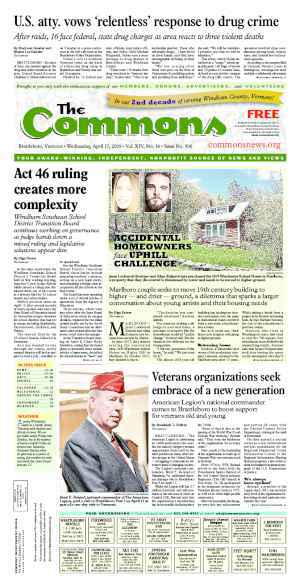 McMahon said Elwell and other towns’ managers, clerks, and selectboards have been negotiating the sharing of Brattleboro’s ACO. Putney’s selectboard and Town Manager Cynthia Stoddard have discussed this possibility numerous times in the last few months. Dummerston’s selectboard Chair Zeke Goodband also expressed interest in sharing an ACO. Although this project is part of the WRC’s core program, grant funding to expand it from an informal conversation to a full-fledged system could be the next logical step, McMahon said. As she and the towns go along, they can continually assess their work, and what subsequent steps should be, she said. “Did this work? Do you want more?” are questions McMahon said would be asked as the project moves forward. 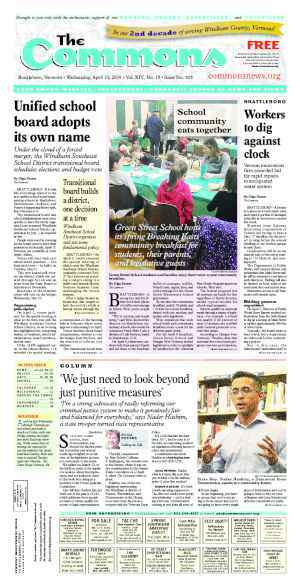 Originally published in The Commons issue #341 (Wednesday, January 27, 2016). This story appeared on page A6.